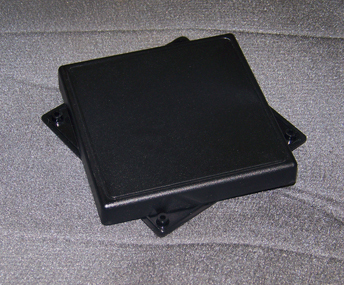 An electronic enclosure is employed to protect electrical equipment from the surrounding negative effects. These boxes or cabinets are designed specifically for electrical wares. Indeed, it is prudent to spend some cash on acquiring an electronic enclosure as it not only enhances the lifespan of electronic goods, but also guarantees user safety as well. We hear it on the news every day – the economy seems to take one step back for every step forward. You made it through the toughest part of the recession and now you’re finally in the position to upgrade your employees’ computers, and you’re able to get your field team those handheld devices that you know will speed up receiving payments from customers as well as give your team a competitive advantage. You worked out the budget perfectly, but then you hear about electronics enclosures, and you start wondering two things – what are they exactly and why should you buy them? Think about the following scenario. Your loyal office manager works hard, and he also loves to keep the plants in the office looking healthy. One day he’s watering the spider plant over Jane’s desk and he gets distracted by co-workers talking about how exciting that playoff game was. Suddenly he overfills the flower pot, and water trickles down onto Jane’s computer. He quickly moves the computer out of the way, and that prevents any water from getting inside. But what if that had happened over the ventilation slots? Jane’s computer would have been toast, and so would her big presentation for the head office she was going to give on Friday. This is one place a plastic enclosure comes in handy – protecting precious computers from dust, dirt, and water so that your data is safe and your devices run better, for longer. Here’s another reason you need electronics enclosures. In any office there are multiple electronic items, all of which emit a slight amount of radio frequency. Add all of those devices up, and you end up with the potential for those multiple radio frequency waves to interfere with your computers or field testing devices. False readings or the inability to read information correctly can be quite problematic. Computers that lose data can cost your company business and revenue. Enclosures can protect all of your electronics from these types of problems. 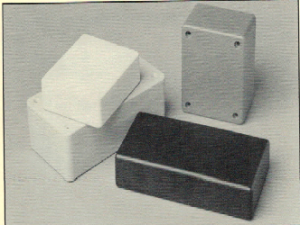 Electronics enclosures come in a number of shapes and sizes. From flat-bottomed enclosures perfect for wall mounting to pocket enclosures great for small devices, field equipment cases to large enclosures for computers, enclosures can protect your investment for a modest sum, and save you from having to buy expensive new equipment so often. Mounting brackets and static-proof Plastite® screws mean you can affix your device to a wall or shelf, keeping it safe from movement, or getting it up and out of the way in tight spaces. Custom enclosures can also be manufactured just for you and your specific device. Send a prototype or an engineer’s concept drawing in and your enclosure can be modified, no matter the size or shape. No chance for your device to rattle around inside, it will fit perfectly, nestled into its home. Ask about expansion panels or access ports for easy battery changes. Then again, if you need something right away, you can order some of the many pre-made units as described above. In less than a week, your devices will be sheltered from the elements and protected for years to come. Companies like SIMCO also make sure their products adhere to REACH and RoHS regulations in the EU, and OSHA requirements in the US. This way you can be sure your electronics enclosures were made in such a way that they will not be harmful to the Earth, or to you. 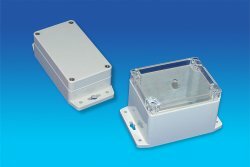 What Are The Main Benefits of Plastic Enclosures? Although many electrical enclosures are made out of different types of metal, which have various beneficial properties, they don’t always offer the functionality that is required for specific uses. In many cases, plastic enclosures provide much better protection when applied in certain conditions and scenarios. That is why plastic has become a major player on the electronics enclosure market. I can certainly say that owning my own manufacturing company has brought me many sleepless nights as I always have to try and produce the best and safest electronic enclosures for my customers. This is the reason for my constant search for good and quality housing for my items. I manufacture technical equipment and different remote control devices and I always look for the best plastic electronic enclosures there are on the market. I have just finished my contract with the previous supplier as they failed to comply with the EU regulations and we terminated our orders immediately. The last thing I want is dangerous enclosures that can cause huge harm to my customers. That is why I had to make a research on the internet and see how to replace them. 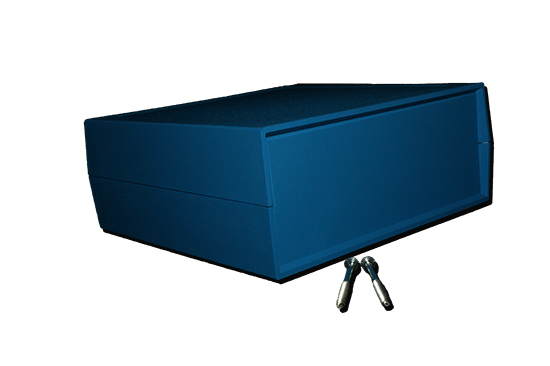 Plastic enclosures come in a variety of models and designs and they can include a number of accessories, which they may require for proper closing, mounting or fitting the components they will be housing. A plastic enclosure can also be fitted with a number of additional accessories to match the requirement of the specific application it is meant for. Accessories play a vital role in some models of enclosures, as without some of them the boxes could not be held together. Different types of clips, screws, mounting brackets, panels, mounting bosses, etc. 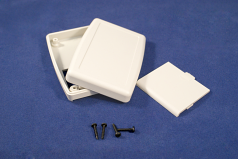 are available on the market and sold either as components of the kits that plastic enclosures are offered with or as spare parts for the cases when you may require replacement of a certain accessory or if you misplace one of the components and need a new one. Here are the more common options available. All the companies that sell electronic and electrical goods within the European Union are bound by law to abide the EU legislation pertaining to electrical and electronic equipment, or EEE for short. This legislation includes two parts: the WEEE or Waste Electrical and Electronic Equipment directive and the RoHS or the Restriction of Hazardous Substances directive. The first directive describes the responsibilities, both financial and other, of the producers of EEE with regards to waste collection and waste recycling, whereas the second one prohibits the use of a number of hazardous substances in EEE. The Saturn series was developed in Simco’s ninth year of operations. Saturn featured an innovative design with simple features. Model 160X23 was the first model developed in this series. Made of material designed especially for high impact, the Saturn quickly rose in popularity as a means to protect electronic devices. 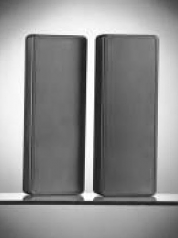 The Saturn series also featured inch-thick walls and flat tops and bottoms with rounded corners. Simco now has developed additional sizes in this line with the same product features that customers loved when the original was developed. The Saturn series features flat, simply designed bottoms and tops. The bottom and top of the Saturn enclosure fit snugly together and can be secured using four stainless steel screws. 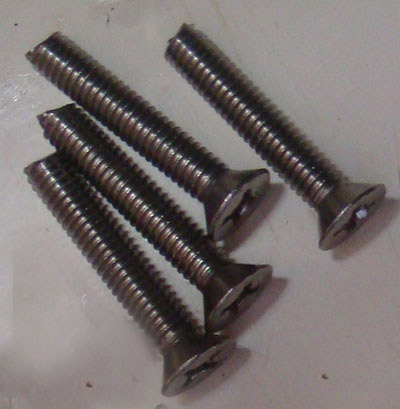 These screws are included with purchase of the enclosure. The newer sizes are also modeled after this simplicity. 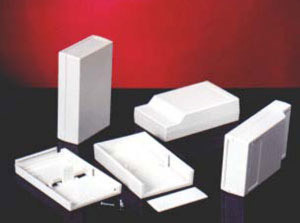 Plastic electrical enclosures have been gaining popularity in the electronics and manufacturing fields in the last years. 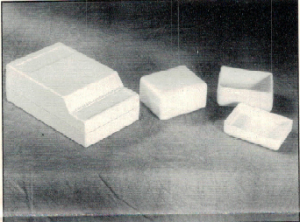 Previously, metal enclosures were predominantly used, as they provided better protection than the plastics available at that time. However, new and more advanced types of plastics have been developed, which has widened the scope of application of enclosures made out of plastics in a broad range of industries.